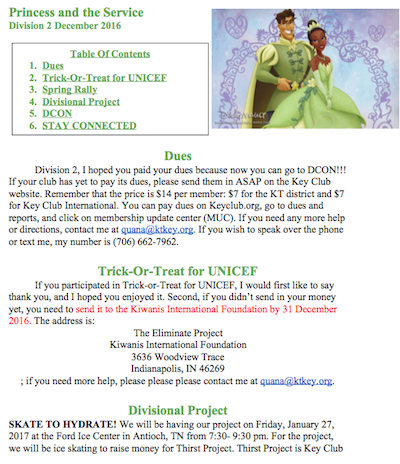 In this newsletter, you will find information on dues, trick-or-treat for UNICEF, a divisional project, spring rally, DCON! !, and contact information. Division 15 – April Newsletter 2019 !! Neoclassical Theme | Modified by Web Monkey | Copyright © 2018 Kentucky-Tennessee District. All rights reserved.